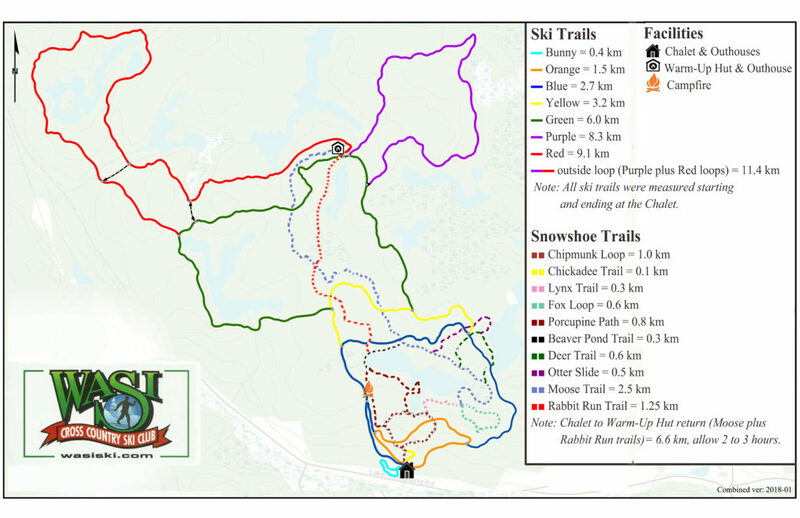 The map above shows both our Cross Country Ski and Showshoe Trails. This map will give you an overview of our whole trail system but the detailed maps are better for either activity. You can download this map and save it on your computer if you wish.